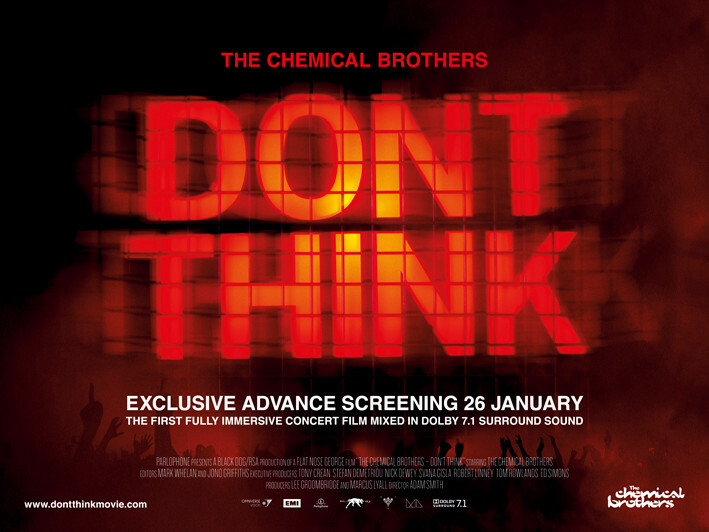 On 26th January 2012, 20 cinemas across 20 cities worldwide will host an exclusive advance screening offering fans the first chance to see the new film by Adam Smith, featuring The Chemical Brothers, titled Don't Think. 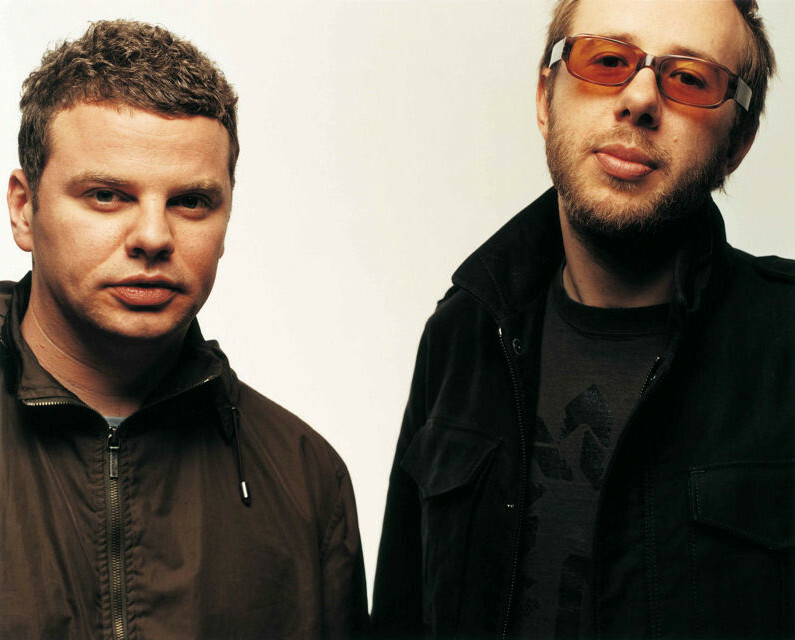 Filmed with 20 cameras at a headline show at Japan’s very own Glastonbury - Fujirock Festival - Don't Think is the first time the full Chemical Brothers’ live experience has been captured on film. Directed by long-term visuals collaborator Adam Smith this full-length concert movie places cameras in the centre of the stage as well as at the very heart of the crowd to perfectly capture a fan's eye view of the heightened emotional reactions of the audience seeing the band at their very best. During the film, Smith takes advantage of one of the most unique festival settings in the world when he follows selected audience members away from the stage and out into the natural environment. Then, by adding avant-garde magic realist moments where trippy visuals leave the screens and invade the open spaces of the festival, Don't Think undergoes a transformation from concert film to fully immersive document of one of the most mind-bendingly psychedelic live shows ever seen. With an extensive global cinema run, the film offers audiences a powerful alternative to the reduced circumstances of watching gig footage on You Tube clips and mobile phone screens. Shot on location on Sunday July 31st 2011, Don’t Think is the first concert film to feature glorious Dolby 7:1, surround sound, mixed for the big screen by the band themselves. It is due to be shown on more than 500 screens in over 20 territories from 1st February 2012 (3rd February U.K). The film has been produced by Marcus Lyall and Lee Groombridge for Ridley Scott’s production company RSA Films in association with ML Studio. 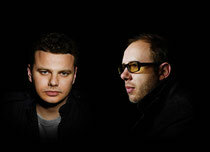 Adam Smith: “After 18 years of working on The Chemical Brothers live show we have finally captured it on film; you could almost say it's 18 years in the making The aim was to create a different type of concert film for a different type of show. “I wanted to capture what it is like to experience the show from right in the middle of the crowd as well as showing and combining the visuals featured in the show with the footage we captured on this one night; to see how the music and visuals emotionally affect and connect with the audience. By using small unobtrusive cameras - and with thanks to the kindness of the amazing Japanese crowd - we were given privileged insights into the private moments of joy, fear and ecstatic escapism from reality that this show induces.